A France river has turned to a blood red color, but it really is not filled with blood. Instead, the river is filled with salt, causing it to turn red. Check out the pictures in this post to see it for yourself. 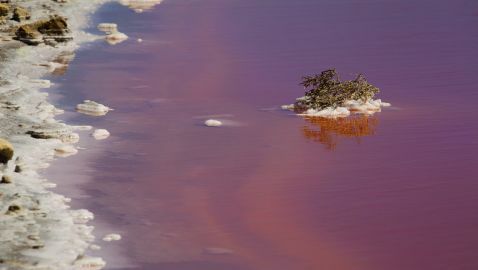 In southern France, a lake in the Camargue, has turned to blood red. The Camargue is a river delta where the sea meets the Rhone. Scientists claim that the water changing colors happened because of a natural occurrence. The scientists have said that a high concentration of salt, in the form of salt flats, turned the blue water to a deep red color. The photos were taken by Sam Dobson, a Russian photographer. He also provided the following notes with the photos. The lake is the second to recently change colors. 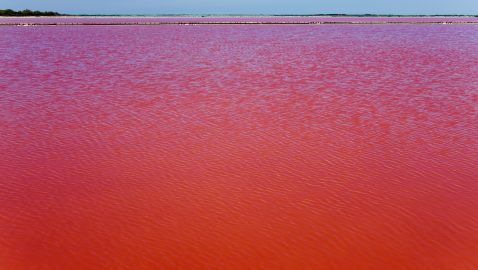 Lake Retba, in Senegal, changed colors from blue to strawberry milkshake because of large numbers of salt in the water.